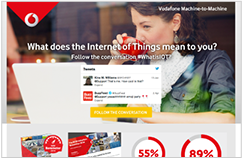 M2M is entering the mainstream – are you ready? The report summarises the results of our global survey, for which we spoke to more than 600 IT and business managers, directors and C-level executives. 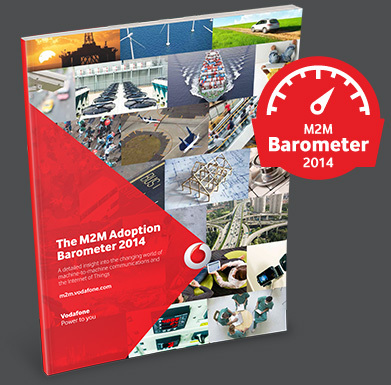 It includes insights from one of the world’s most respected M2M analysts, Matt Hatton from Machina Research. 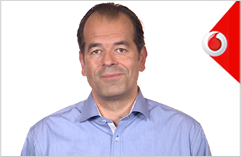 View Erik Brenneis’ insight on the 2014 Barometer report. 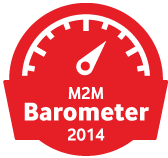 Join the M2M Barometer Conversation. The M2M market has experienced rapid transformation over the last 12 months and organisations need to stay informed to keep up. 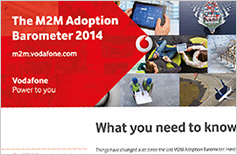 With 20 years’ experience in delivering M2M services, Vodafone provides the data, insights and guidance organisations need to make informed and timely decisions around their M2M investments. © 2014 Vodafone Limited. Registered Office: Vodafone House, The Connection, Newbury, Berkshire RG14 2FN. Registered in England No 1471587.